Is it just me, or are the latest handbag trends becoming increasingly weirder? In a sea of plastics and fishnet, I wouldn't blame you for shying away from these cool but ultimately tricky-to-pull-off bag trends. 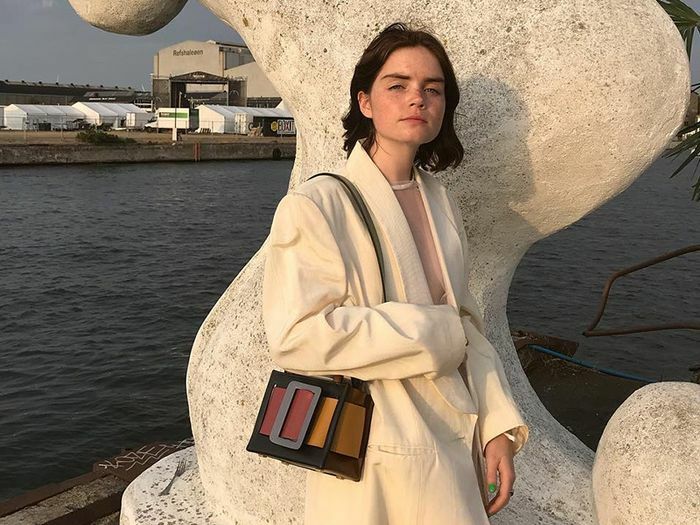 Now, though, the tide is starting to turn away from wildly out-there bags (though we have a feeling those will always be a thing) in favour of accessories that are downright easy to wear. For anyone with classic style or simply looking to invest in a bag that will truly stand the test of time, the revival of structure, classic handbags should serve as good news. They may be "classic," but this new bag trend isn't at all like your grandma's—it feels so much fresher. Think architectural shapes à la Staud, delightful new colours from Danse Lente, and classic-with-a-twist designs from new brand Ratio et Motus that make these polished pieces anything but boring. But make no mistake: These classic handbags are ultimately timeless, proving that they will and cut through all the trend noise for seasons to come. Keep reading to see these standout bags making appearances all over Instagram, and then shop our picks of the trend. This boxy shape will instantly polish your whole ensemble. Danse Lente's clean, structured handbags are some of our favorites. This petite bag is perfect for day or night. Staud put an angular twist on their popular bucket bag shape—and frankly, we're obsessed. Just the right amount of quirky. This bag may be petite, but it packs a punch. Contrast handles are our new favorite thing. This one feels like it was designed just to go with all your fall sweaters. A fresh update on this classic shape. When Zara gets on board, you know it's a thing. Speaking of handbags, read about eight bag designers that are poised to blow up.